MISSED OUR WEBINAR? DON'T SWEAT IT! Gamification helps reduce the biggest risk in an ITSM implementation which is managing Organizational Change Management (OCM). Supercharge Service Quality, First Call Resolution (FCR), Average Handling Time and Overall Performance with Avante’s Cherwell Gamification Enterprise Application. After investing hundreds, thousands (or millions) of dollars in the Service Desk, shouldn’t we do everything we can to minimize the risk of failure and improve tool and process adoption? Join us on Thursday, October 25th; Charles Cyna from Avante will share how Cherwell ITSM can be used to implement a user adoption framework to help manage risks associated with rolling out new technology and processes. Provide real-time motivation to Cherwell Users; Ensure that Process Improvements are being followed; Reduce inconsistent tool usage; Understand how well Cherwell is being used in your organization! Special Pricing will be available to Webinar Attendees. 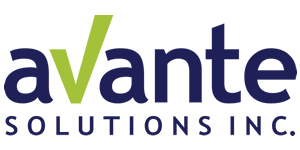 Avante is a leading Software Consulting Company specializing in Cherwell ITSM deployments, integration, and management. Interested in the “Gamification and Cherwell” Pilot Program? If you are interested in getting more information, let us know!